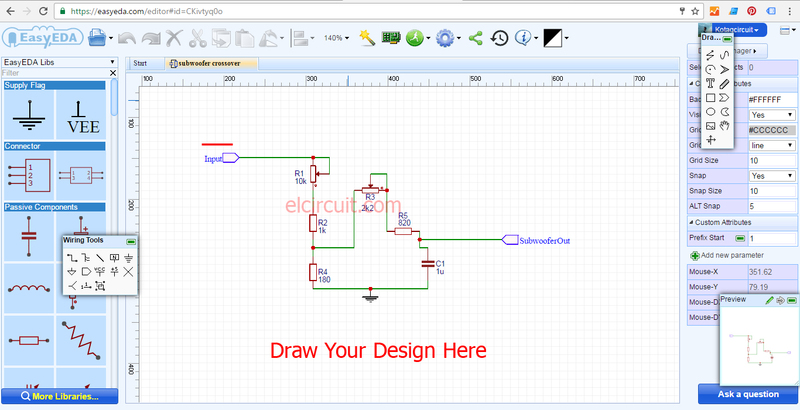 What do you think of when you want to create an electronic circuit? whether to use a sketch on a piece of paper? or using computer media? Here you find the right information to an electronic scheme, to the above right choice is to use computer media, and capitalize internet connection you can make a scheme. And many more, However, the right choice for you design an electronic circuit is EasyEDA. 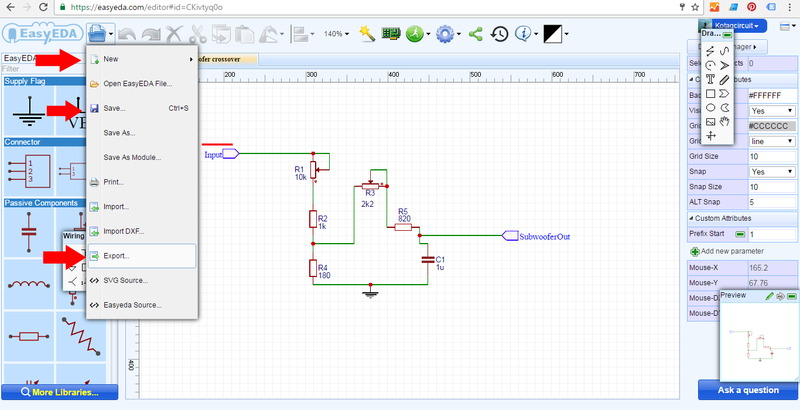 Different from circuit.io and eaglecad, EasyEDA designs were very friendly and easy to use. Making it suitable for the makers of electronics design. 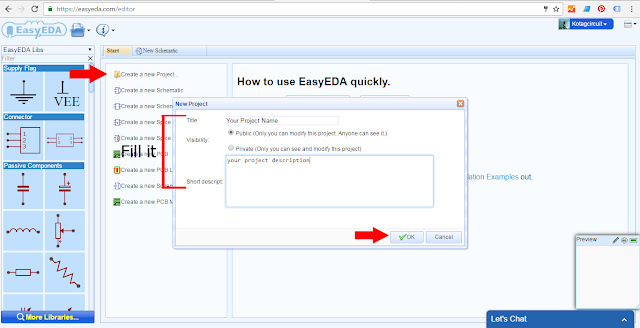 EasyEDA views were friendly, no need to install the application as well as eaglecad simply opening EasyEDA.com address you can easily compose and design, and of course the existing tools in EasyEDA easily understood. you can see the following display on the web site above. Option that best appropriate is EasyEDA, Why? Why not circuits.io or eaglecad or other ? Because EasyEDA has many excellent features, it is very easy to use, can mutually share to users EasyEDA, can even edit the results of mutual friends in EasyEDA. And many more advantages. How to make the scheme EasyEDA? The first you must Have EasyEDA account , Sign Up EasyEDA > Go to easyeda.com > Click Login. It will display pop up window. Create your new project , and fill title of your project then choose visibility. If you want only you can see project choose private and if you want any people can see your project choose Public. And you will be see schematic design , and draw your ideas with your schematic. 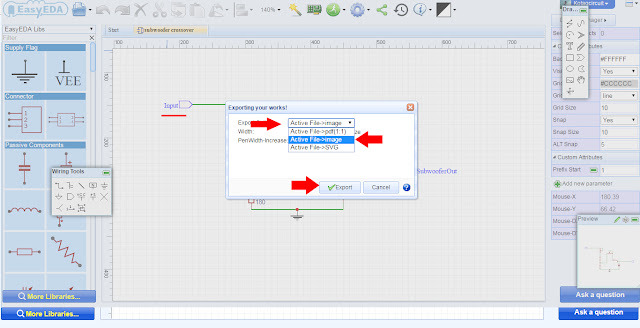 If you have finished, and you want to save your scheme, click on the arrow icon and click save. But if you want to change to an image click export. Then the box will appear as above, Click an choose Active File->Image like arrows. And then Export. Very make it easy? Creating a design scheme with easyEDA very pleasant, there is a lot of symbol of components are complete, and are also equipped with the editor. Do not hesitate to try EasyEDA, create your schematic and PCB. EasyEDA also provide PCB Order to allow a user to make the project a reality.